I still can’t believe I’m actually typing these words, but the Buffalo Bills are in the NFL playoffs! 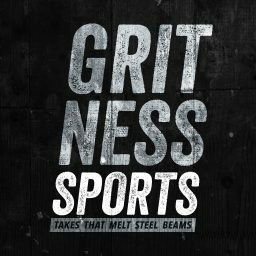 They aren’t “in the hunt” or on ESPN’s bottom line scroll of top 10 picks in the upcoming draft; the Bills are playing a real life playoff game on January 7th. And what a roller coaster ride it took to get there. Buffalo dominated a Miami team that had totally given up for most of the game. The Dolphins sat Cutler after 1 drive in order to play some guy with a tribal tattoo sleeve named Fales, I think I’ve seen him doing curls at LA Fitness. But, in normal Bills fashion, even after leading throughout the contest, they allowed the Fins to claw their way back in, recover an onside kick, and have a chance at a potential game-winning drive. I was having flashbacks of all of the Bills’ collapses from years past when Jordan Poyer’s interception put my fears to bed. Thank God the Bills were able to close out the win, but then our focus had to shift to the Ravens vs Bengals game that was just entering its last few minutes. We we streaming the game on a laptop while watching the Bills on the big screen, so we knew that the Bengals had a 14 point lead at one point but slowly choked it away during the second half. I’ve never rooted harder for a non-Buffalo team than I rooted for the Bengals during the last 2 minutes of that game. There were so many times during that drive where everything could have gone south, but for once, luck was on Buffalo (and the Bengals) side. The Bengals almost muff the punt when the ball glances off the helmet of one of the return man’s blockers but it rolls out of bounds. Dalton spins out of a sack, and then throws a wild interception, only to have the play nullified by a holding penalty on the defense. On 4th and 12, Dalton completes a pass to Tyler Boyd that goes over 25 yards in the air, and Boyd shakes 2 tacklers to run into the end-zone for a touchdown with 44 seconds left. The Ravens have a chance to drive down the field to kick a game-tying field goal, but on 4th and 14 come up 1 yard short of converting. My season ticket holding crew was all watching the games together, and we celebrated like a bunch of 5 year-olds on Christmas morning. We were jumping up and down screaming, hugging and shaking each other. I’ll never forget that moment; it was pure ecstasy. The drought lasted 17 long years. When it started, I was 8 years old and in elementary school. I had just met my buddy Craig, who would turn out to be my best friend. Last week, he got engaged to his girlfriend Alex. Some things have obviously changed in our lives, but others have stayed the same. Craig and I, along with Dirty Dietz and Pat, will be making a road trip down to Jacksonville to see the first Bills playoff game in a generation. We’re going to be jacked up on knock off energy drinks, Slim Jims, and 16 hours of Gandolf Sax; the Jaguars wont know what hit them.